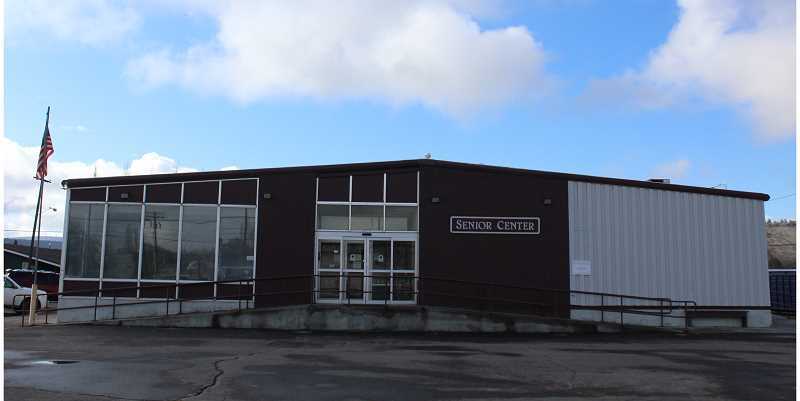 Grant funds are now available for a large-scale remodel of the Prineville Senior Center, and work is expected to start in the next couple months. The construction work will trigger a temporary closure of the facility on June 15 for about three to four months, depending how long the work takes. During that closure, services will continue and will be based in different locations. The remodel will include work on a new roof, new flooring and a new heating and cooling system, said Senior Center Director Melody Kendall. The parking lot will be replaced, and new ramps will be constructed at the front entrance. In addition, awnings will be built over each entrance of the building to keep them clear of snow and ice and shelter visitors from the elements. Kendall traces the origins of the remodel back to when senior center leaders first determined that the building needed new flooring. She said that the floors on the lower level of the facility were disintegrating, and it was becoming a safety hazard for people in the dance and exercise classes. Looking into replacement flooring, they learned that it would cost about $30,000 to $40,000 to complete it. Fundraising efforts began and as time passed, senior center leaders identified other problems with the building that needed addressed. Ultimately, they decided to pursue a Community Development Block Grant, which provides federal funds to local projects. The money is administered through Business Oregon. Because city and county governments are the only entities that can apply for the grants, the City of Prineville applied for it, and Andrew Spreadborough, deputy executive director for NeighborImpact, wrote the grant. A first attempt at the grant in 2016 failed, but the following year, the city and Spreadborough made a second successful attempt, securing $972,003 to complete the extensive list of repairs. "We can't even say enough about how much help the city and NeighborImpact have been in this program," Kendall gushed. "They are the ones who are doing it." The tentative plan is to close the senior center beginning June 15 so the renovation work can take place without interruption. While it is closed, most senior center services will continue offsite, which is a welcome change from the last time the facility was closed for renovation and services like Meals and Wheels were suspended. "We are going to move home deliveries out to Eastside Church. They have graciously allowed our cooks to go out there and prepare the meals," Kendall said, adding that the usual congregate lunches that are normally held in the senior center building will be suspended during construction. The home delivery program was a top priority, Kendall added, because they delivery to around 70 people on a daily basis and "they just can't go without that." The exercise classes will be moved to the Ochoco gym, which is operated by Crook County Parks and Recreation District. Locations for other activities such as line dancing, pinochle and bridge are still being determined. Kendall is pleased to see the much-needed renovation work about to start, and she looks forward to reopening the improved facility later this year. "When we open up, we are going to have a big open house to welcome everybody in, so the entire community can see what we have done," she said.